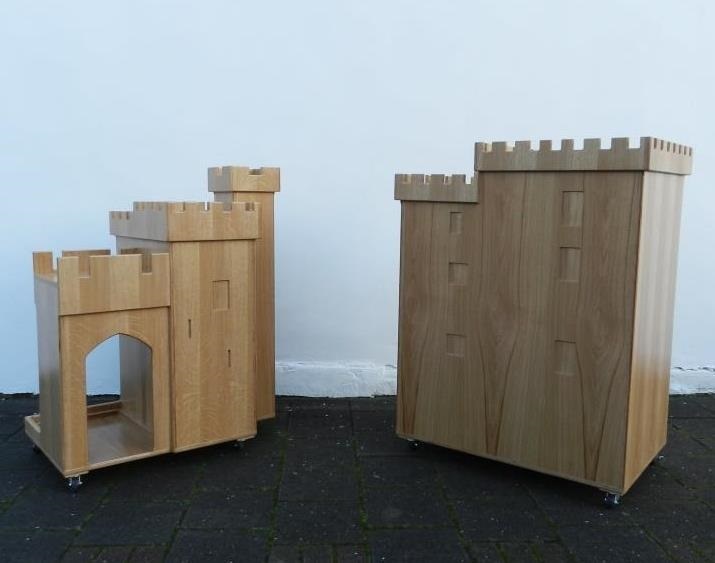 Castle themed art trolley in oak-veneered ply. The client for this project, Hull History Centre, was looking for something a bit different from the standard art trolleys available in catalogues when they spotted a custom built unit we’d made for Cardiff Castle visitor centre in March 2011. They felt its castle themed design was perfect for their requirements and commissioned us to make a similar art trolley for use in their own visitor centre. The trolley is made from very high quality oak faced ply and splits into two units which can be wheeled about on castors.